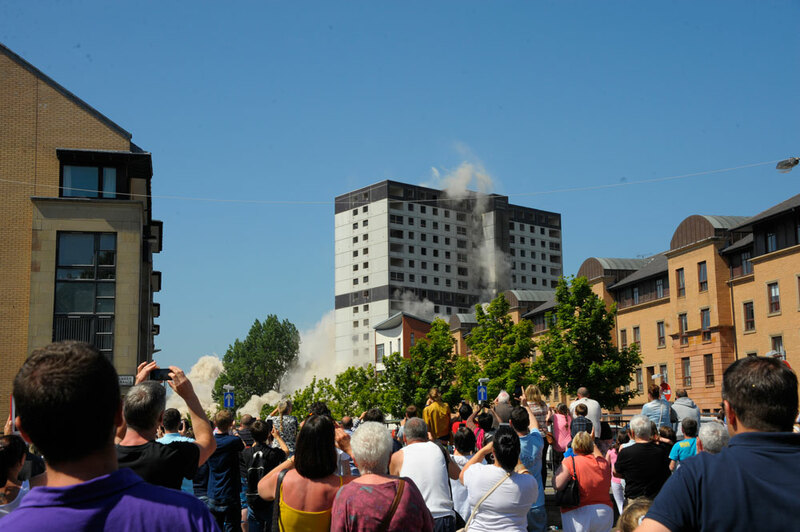 To make way for new redevelopment projects in the heart of the award winning Crown Street Regeneration Area in Glasgow, New Gorbals Housing Association appointed Coleman & Company to demolish two 24-storey tower blocks in Gorbals. Built in 1971, 170 and 200 Sandiefield Road were large panel blocks of flats, each standing at 69 metres tall and containing 394 dwellings. 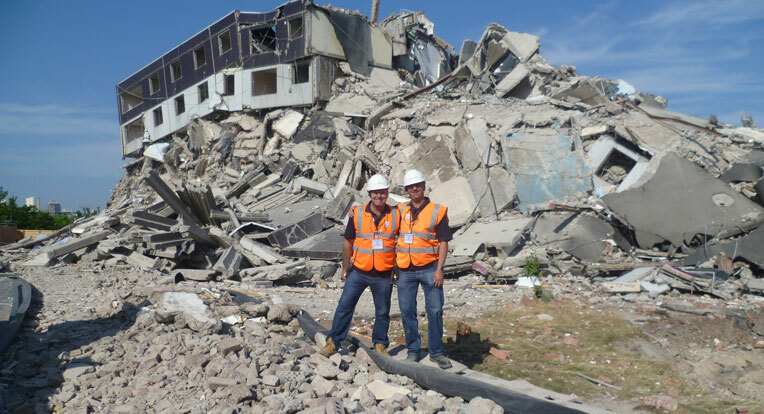 This explosive demolition project was to pave the way for a new Health Centre, social housing and office accommodation for the Housing Association. 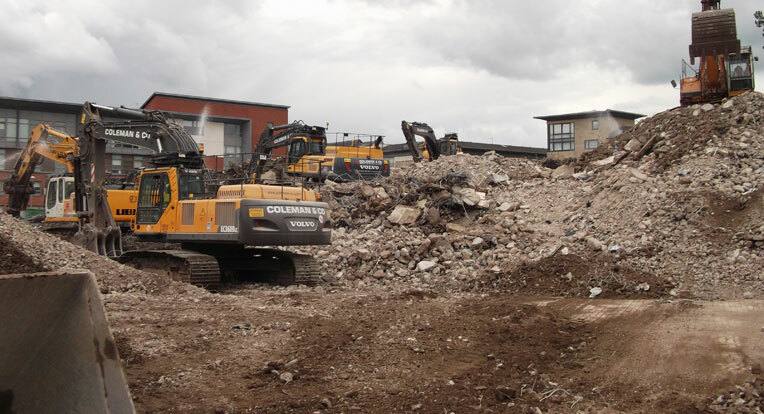 The project was completed together with colleagues from Coleman Specialist Cutting Services and Coleman Engineering Services. 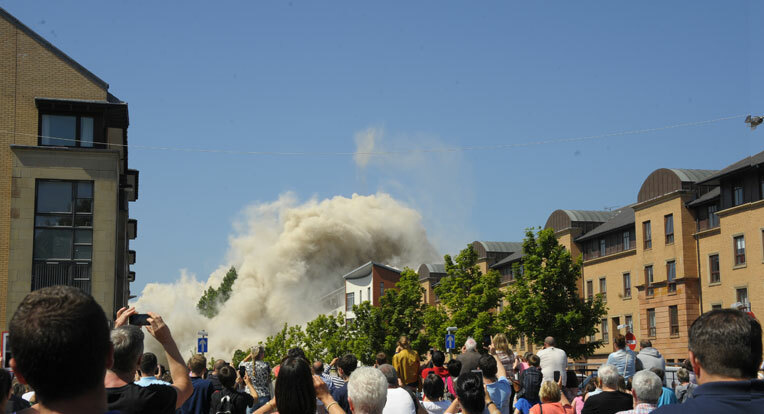 The blowdown delivered was a textbook operation and Coleman & Company received plaudits from New Gorbals Housing Association, Police Scotland, Network Rail, Crown Street Residents Association and many of the local residents. 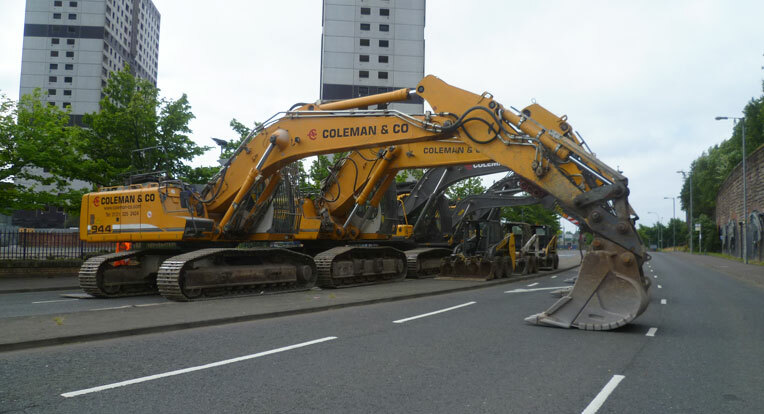 The site was located within the Gorbals area of Glasgow and is confined with a main arterial road and elevated rail track beyond immediately to the west. 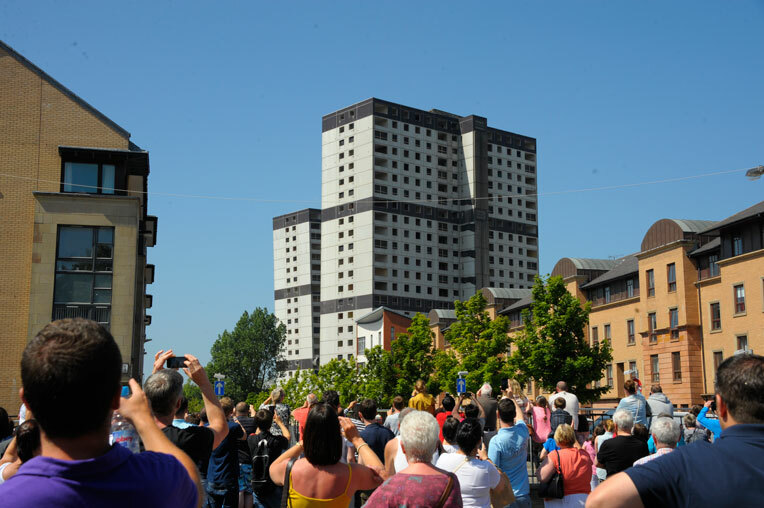 Commercial premises exist immediately to the north and the Public Highway with Gorbals’ new four storey housing development exists to the east and south.